NEW YORK CITY -- It appears a 911 caller mistook a raucous celebration over Usain Bolt's Olympic victory Sunday night for a problem at JFK terminal 8, police sources told ABC News. 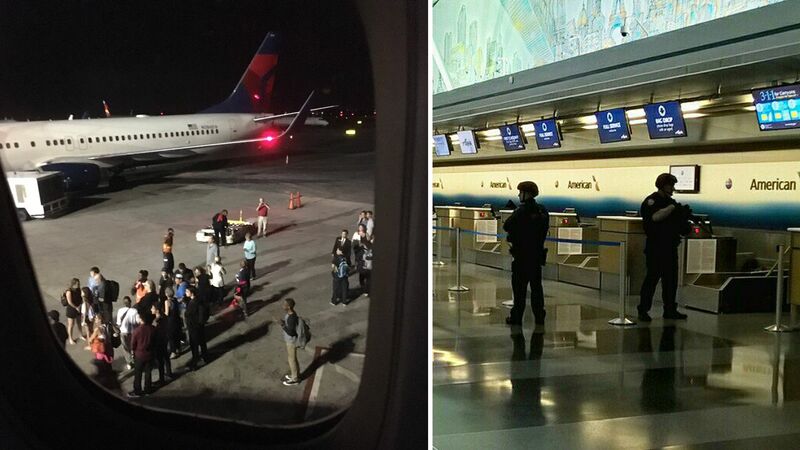 By the time police responded at 9:34 p.m., the report had morphed into "shots fired" and one of the biggest airports in the world was shut down for more than three hours. Port Authority Police spent the day scouring security camera footage and still can find no images or audio that suggest anything like a gunshot occurring Sunday night. During the time of the shutdown, police went through every corner of the packed American Airlines terminal searching for evidence of a gun, a victim or bullets. Nothing was found. The false alarm at terminal 8 led 45 minutes later to a second false alarm at terminal 1 which was also shut down and searched.